From Brexit to climate change; Ian Harper looks at future risks to the industry. The green bond market is sprouting. Natalie Jackson explains why. The bitcoin phenomenon tests markets and authorities, says Angus McCrone. Take a look at our infographic on the cost of living in a financial powerhouse. 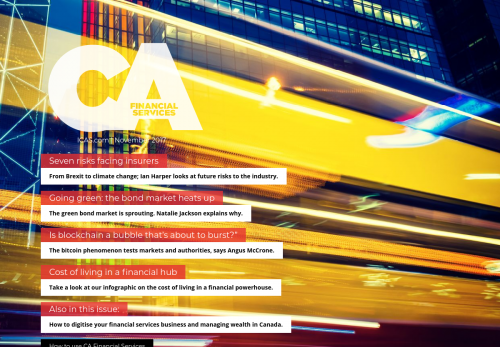 How to digitise your financial services business and managing wealth in Canada.